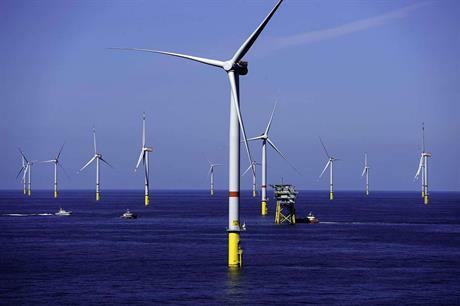 EUROPE: Recent project updates from three projects totalling almost 2.2GW of offshore capacity in the UK and Germany. Foundation deal: Dong Energy has contracted Bladt Industries to supply three of the four substation topsides for Hornsea Project One. Each will weigh around 2,800 tonnes and will be produced in close cooperation with Semco Maritime. The first topside will be ready for delivery in spring 2018. Turbines completed: All 97 Siemens SWT-6.0-154 6MW turbines have been installed at Dong Energy's 582MW Gode Wind in the German North Sea. Vessel charter: With its Gode Wind assignment completed, A2SEA's Sea Challenger vessel's next project will be at Dudgeon in the UK. It will act as an accommodation vessel from September, until turbine installation gets under way in early 2017.